This is the fourth volume to review of this fine series. 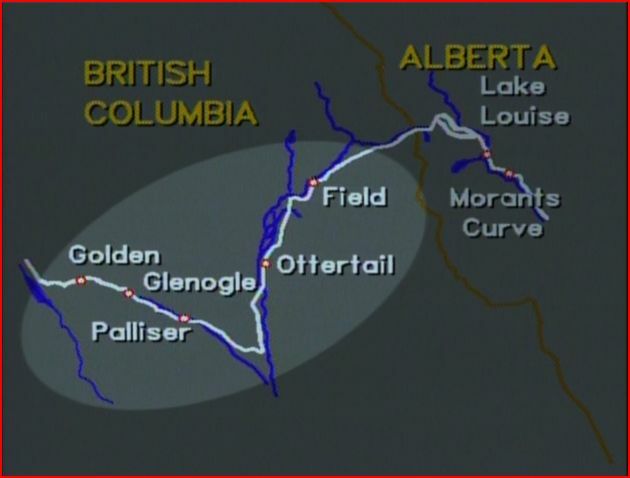 The areas are, Fraser River Canyon and Thompson River Canyon. 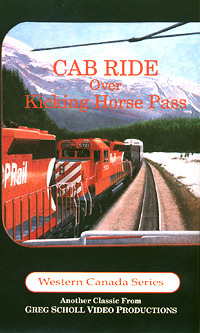 Both Canadian Pacific and Canadian National operate on their separate right of ways. 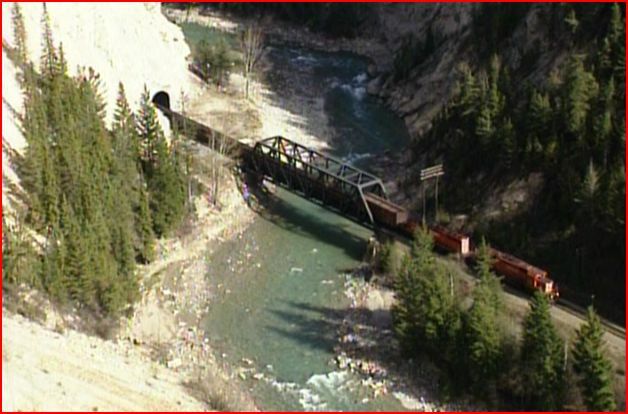 A river in the center divides the railroads to each riverbank. 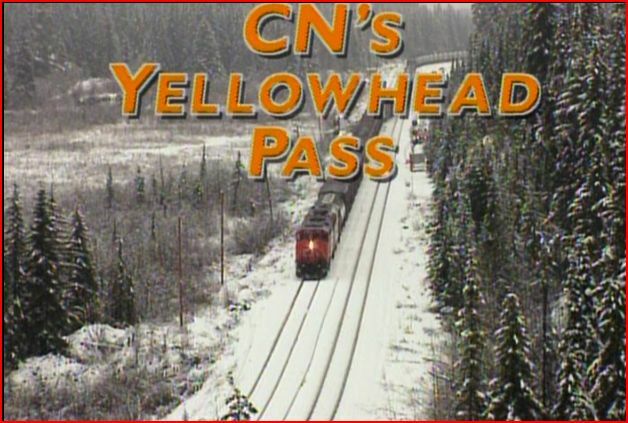 As is the case with Yellowhead Pass and Kicking Horse Pass, each region has it’s own natural beauty. 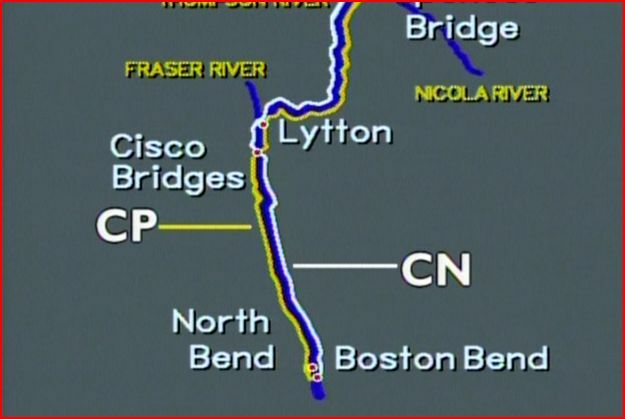 So it goes with the Canada Canyon routes. Different from the others, awe inspiring like the others. The show plays like a double feature film. 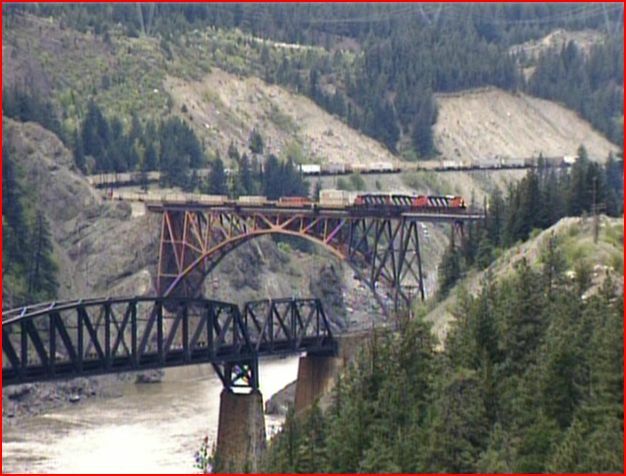 Two of Canada’s biggest railway stars, with the canyon as the stage. If you have never seen film of this location, you are missing out, in a huge way. Action is wall to wall trains. A big parade of trains from a variety of viewpoints. An occasional map will illustrate the way. Narration has more presence in this show. Informative and historical discussions. The scenery is just spectacular! The natural cliffs and rockface are a stunning backdrop. The clear views afforded by shooting across the river, allow for panoramic views. Pine trees remain a part of the scene. The trees are not in a dense forest. Here they are spread out and the mood of this place is much more open then the dense forest of the other locations. Another location in Thompson Canyon, has very sparse vegetation, for more variation. 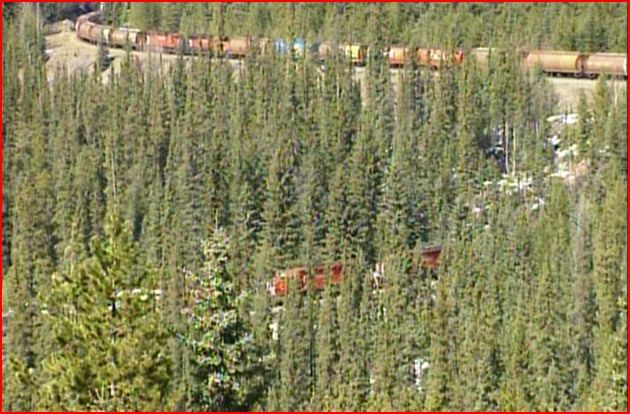 Trains themselves are various freight traffic. 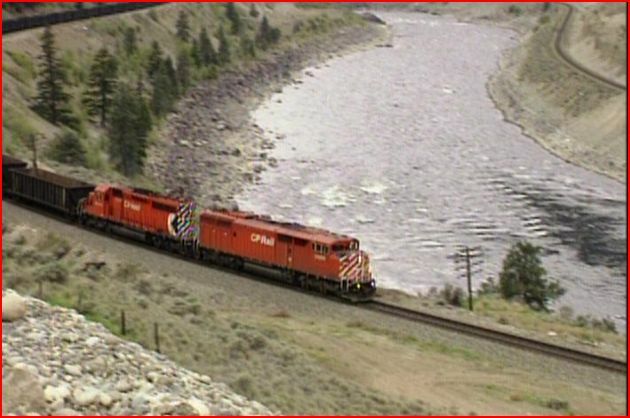 The Canadian unit grain trains have the colorful, large covered hoppers. Some of them are the cylindrical types. They are in a rainbow of colors. 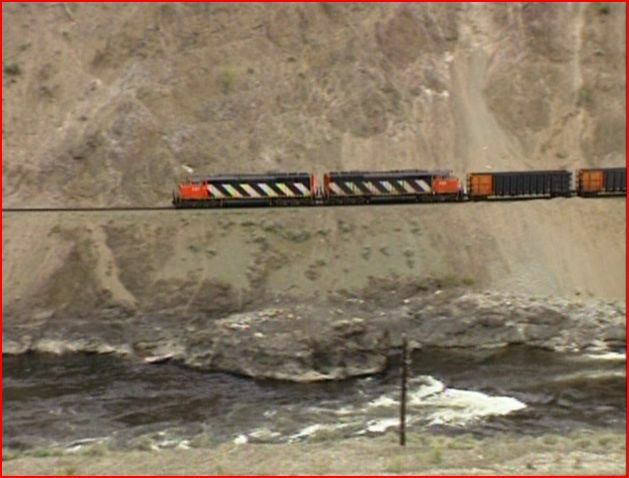 Unit coal also travels the lines. 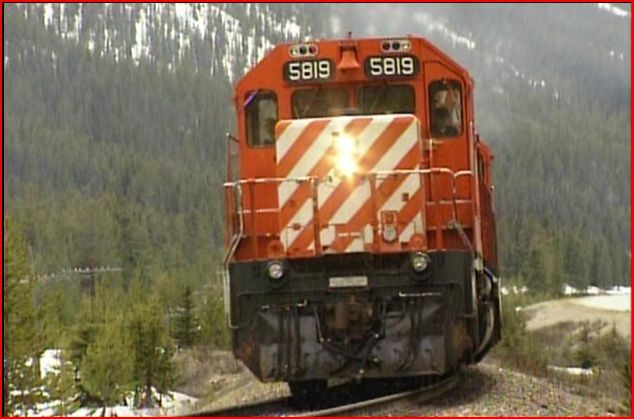 CN has unit sulfur moves for export. 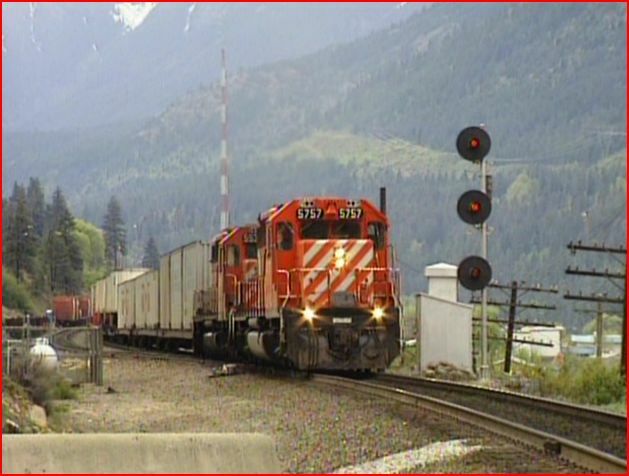 COFC and TOFC are seen on the lines.There are also, the general merchandise freights. 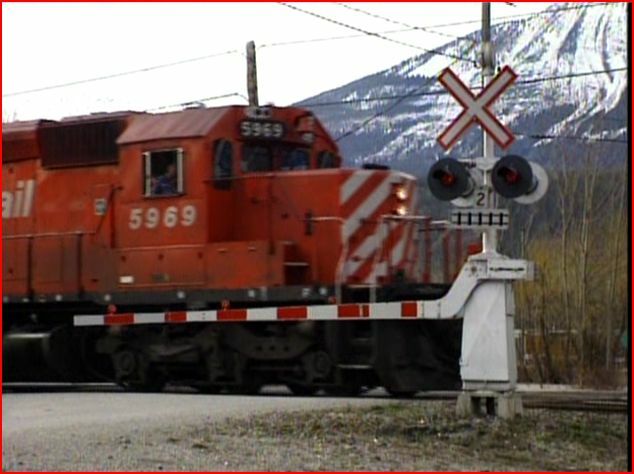 The normal locomotives are SD40-2 types. Various options include, wide safety cabs, and full length cowls. 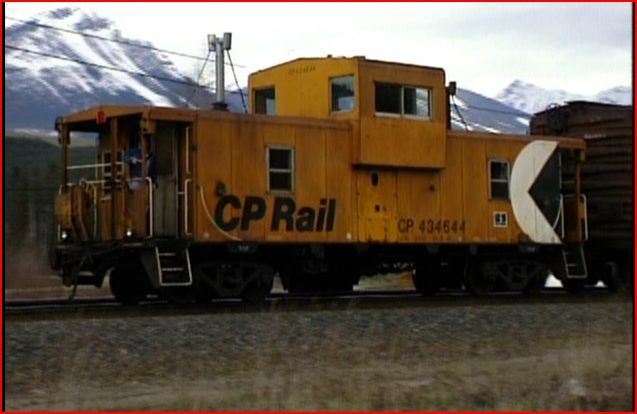 CP Rail has mid train SD40 helpers with locotrol equipment for control. Seems that at least one unit in each set of locotrol helpers has blanked out windows. Probably these house the specialized gear required. Keep a sharp eye out for at least one full height pacman logo on a locotrol helper. 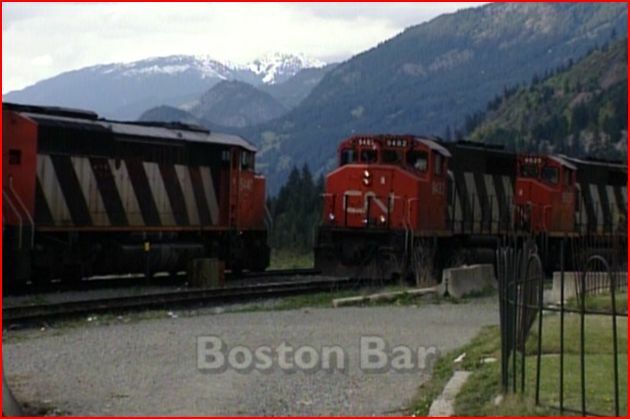 Canadian National also has some safety cab GP40 diesels on a few trains. 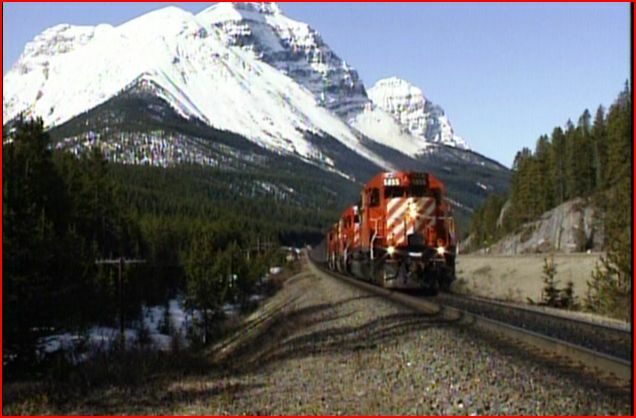 The high vantage points can have the passing freights look like small ‘n gauge’ models against the imposing mountains. A little closer and they can look like HO scale models. By the way, you won’t need forced perspective (as in model railroading) to make the near train look bigger than the background move. The distance of the river takes care of that. 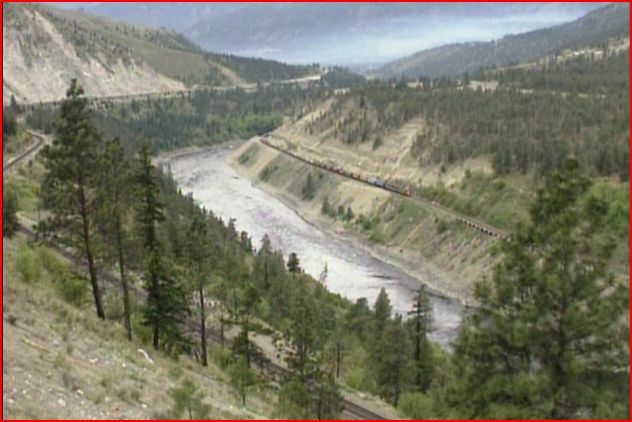 You can see two trains, on two riverbanks, in a single scene. At Cisco the CP crosses over to the other riverbank via a bridge. CN does likewise. 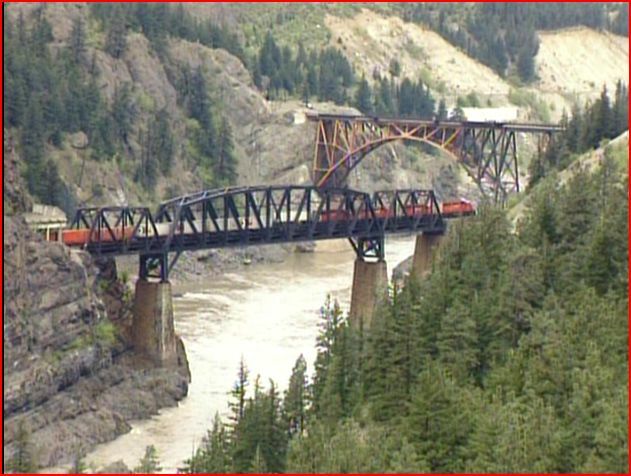 Canadian Pacific built the first railway through the area. They chose the easiest route. There is other power on this line. 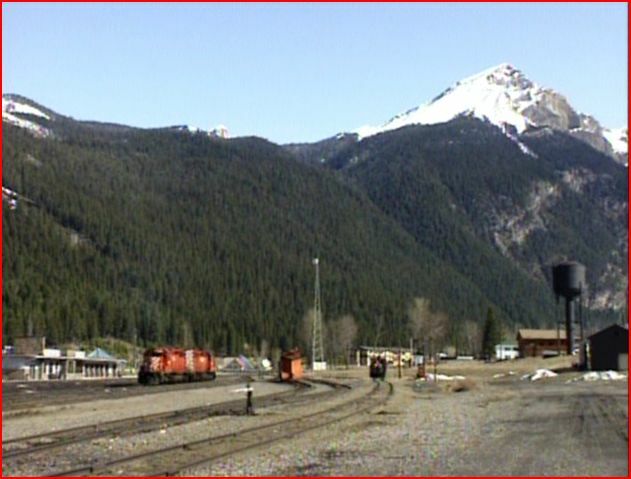 BC Rail runs a train here. 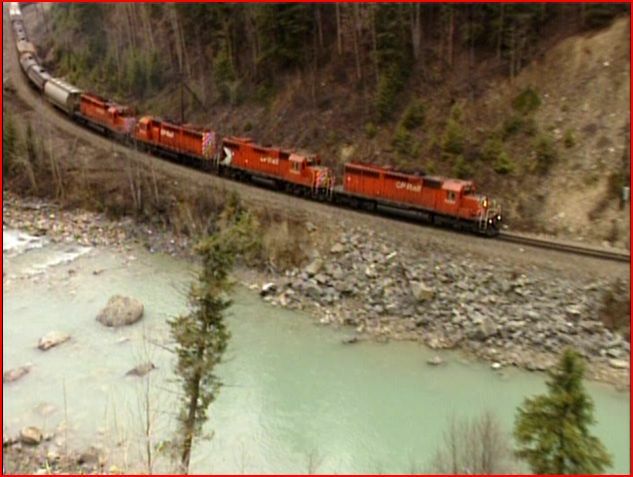 The British Columbia freight even totes a caboose! 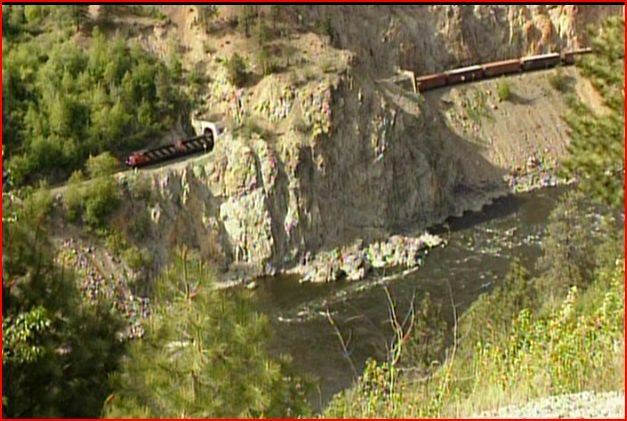 Some leased locos include ex: Norfolk & Western SD40’s with high hoods, still in black! 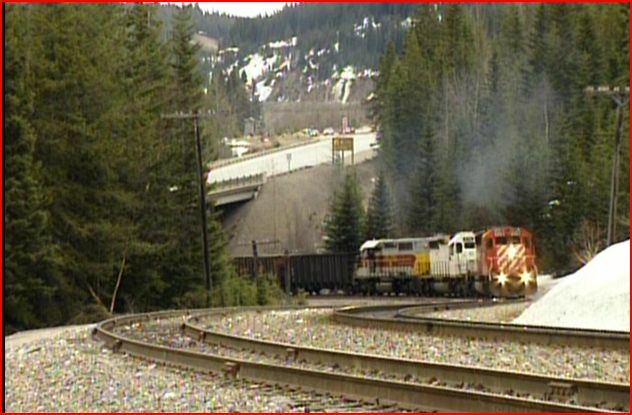 Algoma Central diesels can be mu’ed in lash-ups. 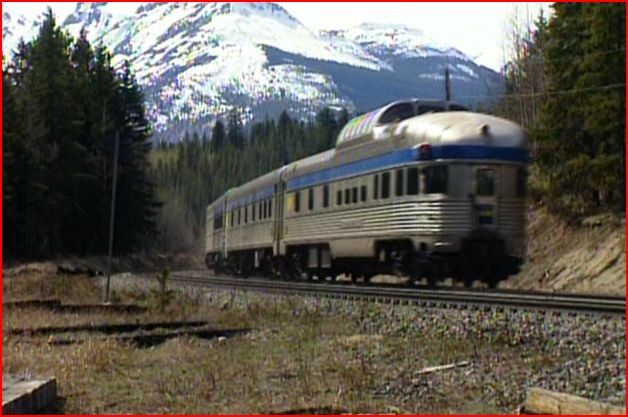 Aren’t the Algoma Central SD’s reminiscent of Erie Lackawanna? We have all heard of and seen snowsheds. Common to routes with heavy snowstorms in mountains. Ever hear of a rockshed? The canyon is a very rocky place. The rock-slides are a very serious hazard. You’ll see a number of these rocksheds, complete with plenty of rocks on the slides. Model that for a contest. Wow! 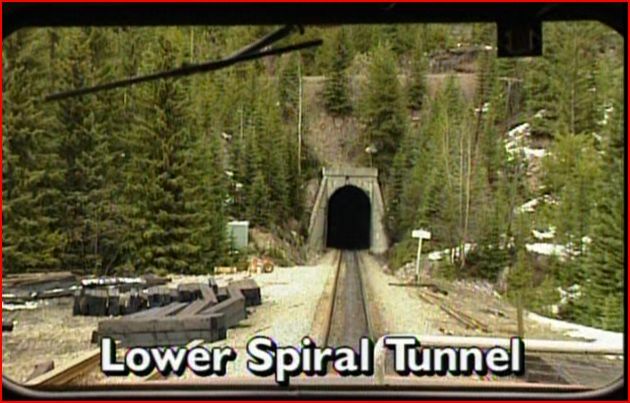 Tunnels are also a feature of the canyon’s rugged terrain. 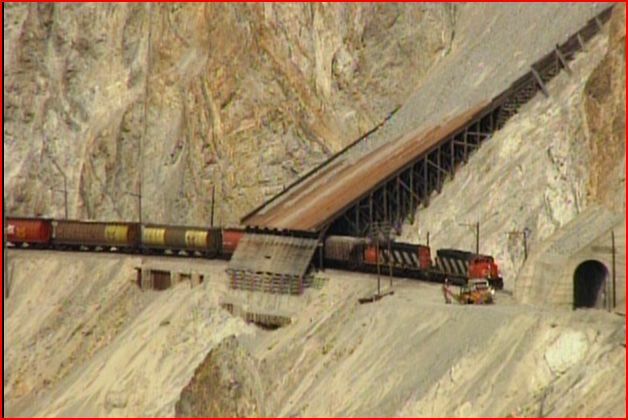 See some big horn sheep clinging to the mountainside, while a CN freight passes below them. The words to describe the raw, wild attractiveness of the area, are only words. This is something that you will have to see to believe. All four volumes can be purchased individually. The complete set of four, is available at a value price. 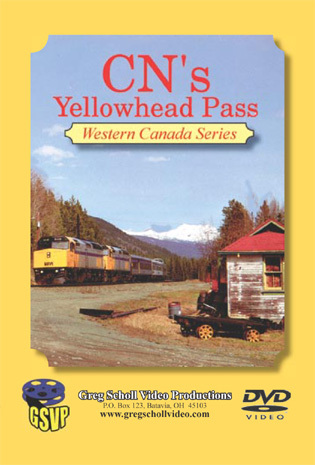 For those with a strong interest in Canadian railroading, the set is highly recommended. Either way, they will stand up to repeated viewings. The series is closely related. Each volume builds upon, and compliments the others. Sometimes one can cherry-pick from a set. 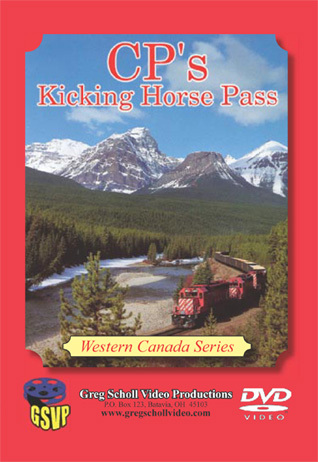 In the case of Western Canada Series, all of the volumes are excellent. If you just want to try one, this show is at the very top of the list. 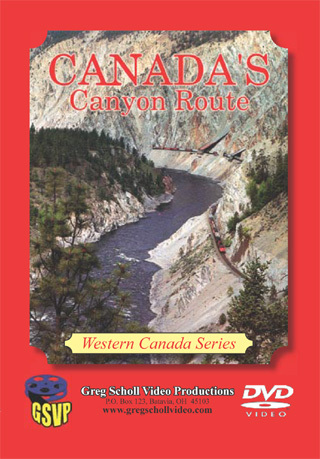 Canada’s Canyon Route is an outstanding program. 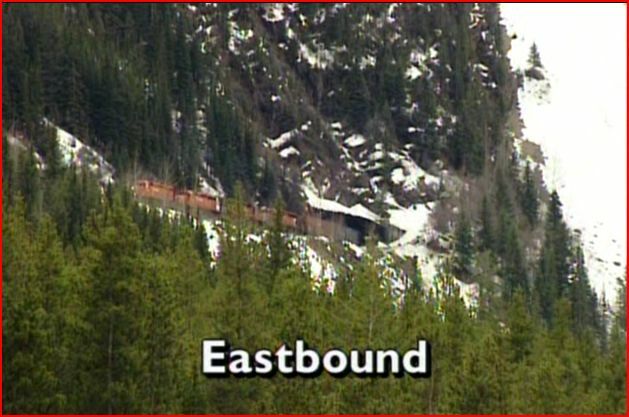 This is a ‘must see’ for any railfan.